Virginia and Maryland are home to some of the best national parks in the Chesapeake Bay area. This immediately qualifies them as camping sites. Here are the best campsites of Chesapeake Bay region that you can try out in this vacation season. This part is located in the Northeastern part of Maryland. 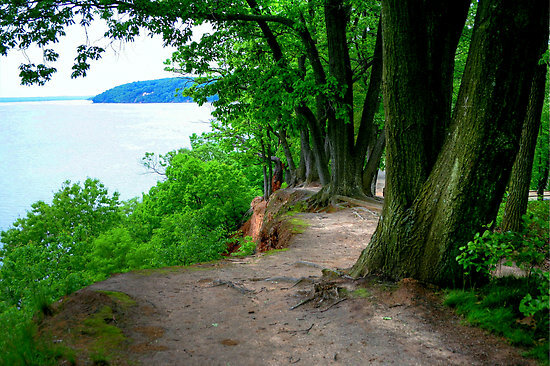 Wooded bluffs, marshlands and sandy beaches are the trademark of this park. One can view the Chesapeake Bay and Elk River by taking a walking trail to the nearby lighthouse. The park has 278 campsites engulfed in its bluffs. A peninsula formed by Chesapeake Bay and the Potomac River engulfs this state park. The park has 143 campsites in the green forests. Of them 27 have electric supply and other modern amenities for those who like to camp in comfort. This is a lovely park to camp in with family and friends. Apart from regular campgrounds there are campfire programs and boat launches to host the camping regulars. There are water sports for those who seek adventure, cross-country skiing during winters, pet trails, play grounds for the children, archery ranges and hunting grounds for the youngsters. There are 69 campsites of which 6 have electricity and 6 are camper cabins. This is the perfect place to plan your next family camping vacation. Situated in the Virginia Beach area, this is a popular camping ground for those interested in fishing and hiking. The park also has an environmental education centre located within to facilitate educational school trips. Also located on the shores of Virginia coast, this park offers access to the recreational areas of Chesapeake Bay. It is also a bird watcher’s haven. Migratory birds take shelter here and offer ample opportunities to bird lovers to get a glimpse of some of the rare bird species. This state park is known for its wildlife and untouched greenery. Bald eagles have made this park their home. More than 60 varieties of bald eagles have been spotted here so far. It is a relatively quiet place to camp at. A perfect viewing ground for Rappahannock River, the beautiful Belle Isle is a park that entertains its visitors with water sports apart from the great campsites nestled in it. Fishing and boating are other things that one can enjoy while camping here.